Glaucio Roland, a specialist in supply chains, discusses the necessary considerations when producing and exporting petcoke in Brazil. "Optimising Brazil's Petcoke Supply Chain"
The purpose of this article is to make the reader aware of the complexity of the process and the importance of a well-structured logistics system in order to ensure safety. This is especially prominent when considering the importance of petcoke in the cement industry and the cement production process. his article presents the supply chain of petcoke in the Brazilian cement industry, addressing economic, market, and logistic issues. The entire supply chain will be presented, including the market structure, supplier countries, logistic bottlenecks (port and road), and finally the representativeness of each step in the total cost ownership (TCO). This article analyses the economic and financial factors in the management of the petcoke supply chain in Brazil. In Brazil, the cement market is currently composed of 24 cement groups, both national and foreign, with 100 factories spread throughout Brazilian regions. The country’s announced installed capacity is over 100 million tpy. The main cement companies operating in Brazil include Votorantim Cimentos and Intercement. Votorantim Cimentos is a Brazilian group, started in 1936 through the Santa Helena plant in São Paulo, active and operating in 13 countries. Intercement was founded in 1967, changing its name from Camargo Correa in 2011. High sulfur petcoke: technical sulfur specification above 6% originating from the Gulf of Mexico in the US, with the lowest price of commercialisation and recommended for the Brazilian cement industry. Medium sulfur petcoke: technical specification of sulfur between 4.5% − 5.5%. The predominant producing country is Venezuela. Low sulfur petcoke: a technical specification of sulfur of less than 1%; Brazilian cement companies use the material supplied by Petrobras. Since the beginning of its commercialisation in the middle of 1992, the petcoke market has suffered from the influences of the world economy. The analysis of the market history was extracted through historical price series (PACE), using market indicators. Between 1990 and 2000, with abundant material and treatment as residue, the average price was US$10 − 20 lower than registered values. The Brazilian market began to use petcoke at the end of the 1990s, with the first tests replacing diesel oil. After 2005, the price started to increase and changed the world market view of petcoke until 2008. In 2009, with the impact of the crisis and the downturn in the world economy, there was a sharp fall in prices. In 2011, with the restructuring of the market and the heating of the main industrial sectors, prices started to stabilise. In 2015, prices fell more than 50% compared to that of 1996. The economic factors, production of the countries, and the influence of the other segments of the industry affected the price of petcoke in 2015, with 62% of the petcoke used for energy and cement. During the period from 2012 to 2015, Petrobras’ petcoke production grew, due to the construction of the new coking plants Presidente Getúlio Vargas Refinery (REPAR), Abreu e Lima refinery (RNEST), and other capacity expansions. However, the environment under which these construction prejects started has rapidly changed, and the works in the refineries are without a date of completion. This change in construction is due to two factors: the first is the Lava Jato scandal investigation in Brazil and the second are the economic-political crises that have plagued the country in recent years. The origin of the petcoke used by Brazilian cement companies in 2015 was divided between the US (60%), Venezuela (10%), and Petrobras (30%). Therefore, a large part of the petcoke used in Brazilian cement is imported from the Gulf of Mexico and Venezuela. Some Brazilian cement plants do not have a quality restriction and can operate any type of petcoke in production. This generates a great deal of flexibility to negotiate with the market due to lower prices. Logistics play a dynamic role and are important as an information disseminator. However, depending on how this information is used, logistics can positively assist or seriously harm an outcome. Therefore, good planning is vital to keep costs in check. This article demonstrates that 34.19% of the total factory cost in Brazil is related to Brazilian infrastructure costs (road, taxes, and ports). It concludes that there needs to be constant optimisation of the logistics network and search for more competitive flows. The following logistical problems arise in the production and distribution of petcoke. Brazil’s port infrastructure is deficient, including bulk loads or containers. In the case of petcoke, due to the requirement of care when handling, port restrictions are greater. 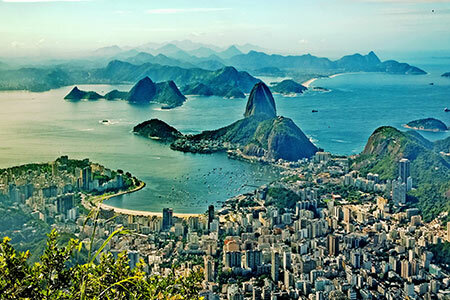 In Brazil, there are 11 ports authorised for the discharge of petcoke. But most are concentrated in the north and northeast. Due to the suspension of works in Petrobras’ refineries, without increasing the production of internal petcoke, a logistic bottleneck has been created. In the states of Rio Grande do Sul, Santa Catarina, Paraná, and São Paulo, currently only the Imbituba Port is in operation with adequate infrastructure for unloading, storage, and shipping. In Brazil, there are only two known railroads that carry petcoke: the first is from the port of Fortaleza to the city of Sobral and the second is the port of Vitória to the city of Brasília. The railroad in Brazil has a network of 30 129 km, of which 1121 km are electrified, spread across 22 Brazilian states and federal districts, divided into ff types of gauges that hinder the flow of petcoke by rail for any considerable distance. Petcoke is transported most frequently by road due to Brazil’s continental dimensions and gigantic road network. The Brazilian cement industry has a great dependence on road logistics, as most of the movements are carried out by trucks, with flows of a distance of over 2011 km, for example between the city of Imbituba and Cuiabá.